STEPS researchers from Lund University publish ”Kampen mod plastik er kun lige begyndt” in the Danish Politiken (p. 6, 2018-12-22). They write about the new EU directive on single use plastics and the fight against plastic pollution in the oceans and on our beaches. Read the full article here. 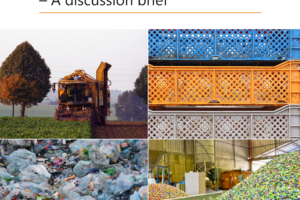 Five pathways to more sustainable plastics are proposed in this discussion brief by WP3 researchers: bio-based, biodegradable, recycling, fewer types and less use. The pathways are complementing rather than competing, although the balance between pathways in a transition cannot be detailed in advance. Technology development, institutional changes and human behaviour will create new opportunities and problems along the way. Read more. STEPS meets leading Swedish fund managers Öhman and Lannebo to discuss plastics and sustainable investments at Mistra. The event was organised by Mistra. The aim of the meeting is to gain increased understanding about how investors work and which type of research results and information are useful for supporting sustainable investments related to plastics. Examples of issues discussed are how climate risks are handled in investment strategies, reflections on stranded assets and divesting. 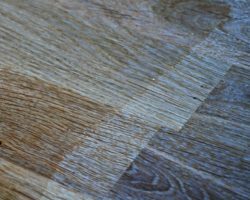 Greening the furniture sector is not the easiest task as many different types of fossil-based polyesters are used in furniture. 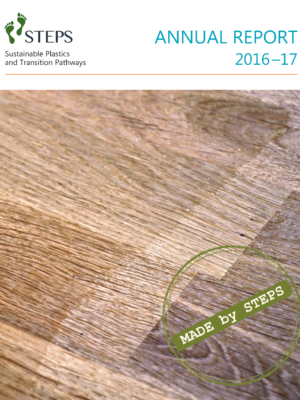 STEPS met Jonas Ihreborn at the JI Furniture company in November and discussed sustainable alternatives to polyurethane polymers, present in current fabric coatings and foam. 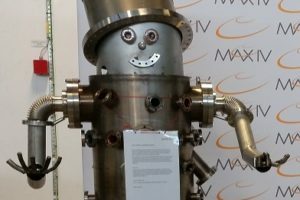 STEPS industrial and academic partners were engaged in a study visit at MAXIV on December 4th. Interesting to discover how this world-leading facility is developing and which opportunities are there for STEPS stakeholders. 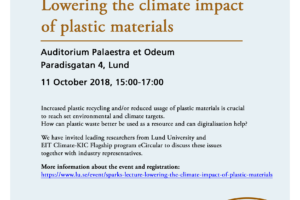 Lowering the climate impact of plastic materials was the main theme of the panel debate held at Lund University on the 11th of October. 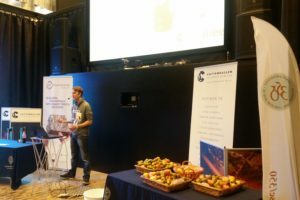 In front of an audience of over 100 people, leading researchers from EIT Climate-KIC Flagship program eCircular, STEPS researchers and companies’ representatives from Perstorp, GPS and Electrolux discussed reduced consumption, recycling, bioplastics and policies to facilitate the transition towards a more sustainable plastic system. The joint programme meeting continued on October 12th, eCircular and STEPS presented the research programmes, showed interesting study cases and discussed possible synergies. 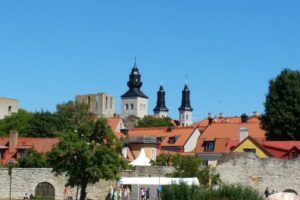 STEPS was involved in two events at Almedalen 2018! Life in plastic, is it fantastic? 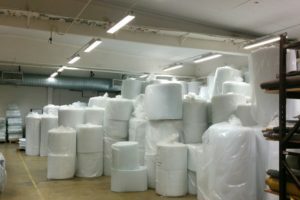 Ett hållbart system för plast till 2030, organised by Mistra, and Omställning till hållbar plast – vad, hur och vem, under the umbrella of Lund University. STEPS members Tobias Nielsen (Lund University), Lars J Nilsson (Lund University) and Linda Zellner (Perstorp) were involved in the panel discussions. 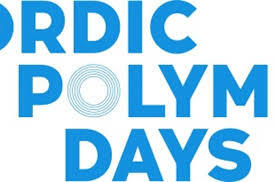 Nordic Polymer Days is the key annual conference where researchers and professionals get together to discuss new technologies and innovations within polymer science and engineering. 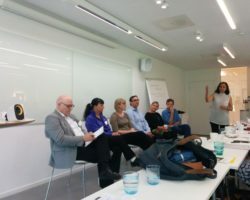 During this year’s conference, held in Copenhagen on 28-30 May, STEPS programme director Rajni Hatti-Kaul was invited to present STEPS and its achievements. 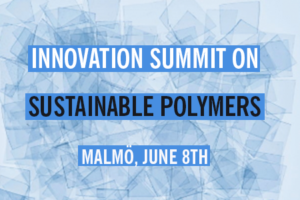 Baozhong Zhang (Centre for Analysis and Synthesis, Lund University, WP2 leader) and Tobias Nielsen (Political Science, Lund University, WP3 researcher) presented STEPS at the Innovation Summit on Sustainable Polymers in Malmö organized by Innovation Skåne on the 8th of June. Read more here. 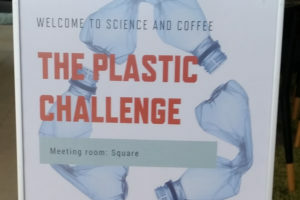 WP3 researchers Tobias Nielsen (Political Science, Lund University) and Eva Svensson Myrin (Environmental and Energy Systems Studies, Lund University) talked about the plastic challenge at Ideon Science Park on 18 May. 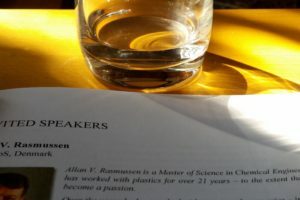 Linda Zellner (Perstorp) and Tobias Nelsen (Political science, Lund University) talked about sustainable use of plastics at the seminar Tänk om plast … (Rethink plastics) on 26 April, during Lund’s Sustainability week. 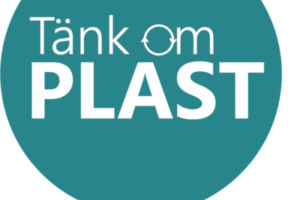 Tänk om plast is a network of actors from Skåne County working to reduce the amount of plastics that ends up in nature and STEPS is part of it. More information can be found here. Rajni Hatti-Kaul was invited to a regional expert workshop on 26-27 March 2018 in Frankfurt, Germany on “Regional Perspectives on Sustainable Chemistry Innovation and the Global Chemicals Outlook II: Understanding Trends, Risks and Opportunities in Europe” organised by the International Sustainable Chemistry Collaborative Centre (ISC3) and UN Environment. 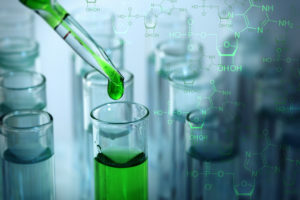 The results from the workshop will feed into the Global Chemicals Outlook II (GCO-II), currently being developed by UN Environment. 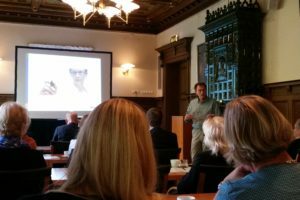 STEPS programme meeting took place on the 19th of April, 2018 in the historical halls of Hypoteket in Lund. It was attended by academic and industrial partners, board members and invited speakers. The three interlinked work packages gave a quick update of their activities, invited speakers talked about innovation and new ways towards sustainable plastics, polymer electrolyte membranes for fuel cells, systemic innovation towards a circular economy for plastics, and sustainability criteria and life cycle assessment for forestry. During a small workshop, participants also discussed sustainable plastics recycling, handling biodegradable plastics and increase of biomass/alternative renewables capacity and use. 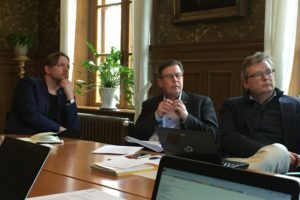 The workshop was organised by WP3 and held at Lund University on 9 April. After a presentation from Jenny Ivarsson and Johanna Eriksson from the investigation team on Sustainable Plastics assigned by the Swedish government, the workshop focused on the already known challenges of recycling plastics. 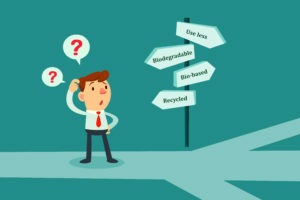 Above all, the low collection of plastic waste, the lack of demand for recycled plastic, and the producer responsibility so far failed to encourage producers to design completely recyclable products. Highlights of the EU’s plastic strategy were also presented, after which it was noted by the group that it is important to think both in a long-term and short-term perspective and that the transition to a more sustainable plastic system will require many different solutions. Three different topics were discussed more in deep during the workshop: plastics design, collection systems and chemical recycling. 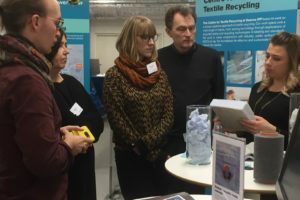 In March Swerea IVF hosted a study visit for STEPS partners who had the opportunity to visit the labs in Mölndal and listen to interesting talks about additive manufacture, surface technology, polymer processing, melt and wet spinning, and textile recycling. A delegation of STEPS visited LEGO Sustainable Material Division! LEGO is a fascinated company that is putting huge efforts in developing alternatives to fossil-based bricks. 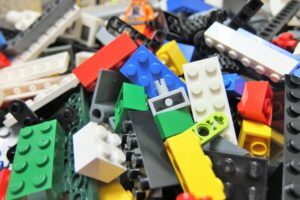 Lego aims to use recycled or renewable raw materials in all its plastics products by 2030. We will be eagerly following this journey! A small group of representatives from WP1, WP2 and WP3 visited the plastics recycling facility Swerec in Lanna. 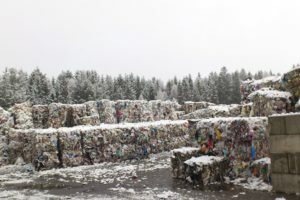 It was an eye-opening experience that confirmed how problematic the plastic recycling business is in Sweden. WP2 PhD student Niklas Warlin (in the picture below) and external communicator Katarina Elner-Haglund presented STEPS for high school and university students, and faculty members at the annual Raw Materials University Day organized by the EIT Raw Materials network. 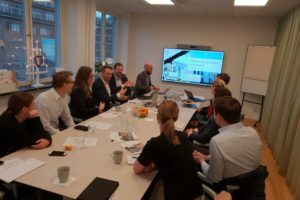 Exactly after one year from the kick-off, in the very same building – Gamla Biskopshuset in Lund – STEPS work package leaders presented the programme’s results, challenges and future development for Mistra’s staff and Board. On the 28th of June 2017, STEPS fulfilled an important milestone – demonstration of the first product, the fructose-based floor coating StepOn. 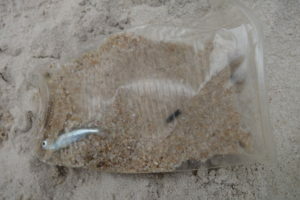 After only 10 months since the launch of STEPS, Bona and LU developed a coating with durability and chemical resistance similar, if not better, than the conventional fossil-based products on the market. 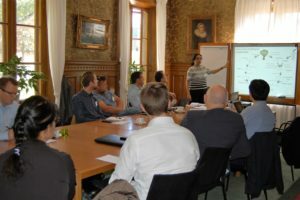 STEPS programme meeting took place on 30-31 May 2017 in the nice surroundings of Örenäs Castle, Glumslöv, and was attended by academic partners, industrial representatives, board members and invited speakers from Sweden and the rest of Europe. researchers and some of the industrial partners (Perstorp, Region Skåne and Sysav). The programme start was formally set by a kick-off meeting at Gamla Biskopshuset in Lund on 12 September 2016, attended by the majority of academic and industrial partners.